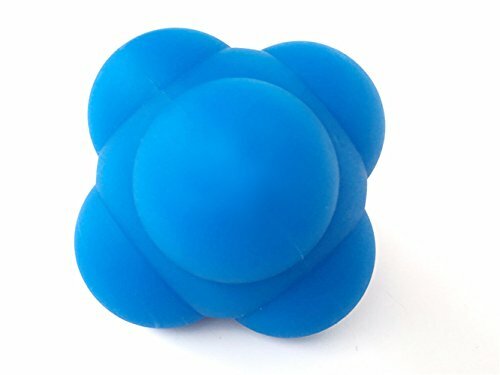 This rubber reaction ball is a unique tool, made of superior quality natural rubber. Unlike other softer balls, it is made of high density rubber to maximize its intended purpose, which is varied and random bounce. It has six rounded sides to make it bounce unpredictably. Its regular use improves your hand-eye coordination, reaction time and peripheral vision while increasing speed and agility......It serves as a great training tool for sports which require good reflexes like tennis, baseball, basketball and cricket. It makes you flexible, energetic and healthier. Its use is recommended to build motor-sensory skills. Carry it with you in your pocket. If you have any questions about this product by NEWBEGIN, contact us by completing and submitting the form below. If you are looking for a specif part number, please include it with your message.